This presentation was presented as the keynote presentation at the Integrative Fertility Symposium in Vancouver BC (IFS2017). It was last time Dr. Ray Rubio addressed his colleagues. This presentation discusses the five primary ways that we as individuals and as practitioners can be the creators and authors of our own lives and stories. This process can help us to find our unique gifts and vision for our lives and our practice, and in so doing prevent practice burnout, and provide opportunities for growth, success and fulfilment. 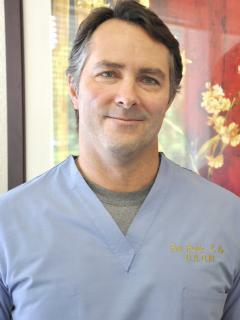 Ray Rubio had a successful practice for over 20 years, with a specialization in Reproductive Medicine and Infertility. He woke up every day excited to go to work, feeling a connection to this lineage of Chinese Medicine until his untimely passing on March 4th, 2017. You will learn the importance of knowing and sharing your story to help you be an authentic and effective healer. You will learn necessary steps to prevent burnout and steps to take when feeling stuck. 15 min People who show up at the right time & the right place who inform your life later. If you pay attention they become part of your story. 15 min Be open to rewrites- every script is a first draft - be open to rewrites when you look at what's going on in the present. 15 min Remember how we react to what happens to us is more imp than what happens. It doesn't have to be who you are. Ray Rubio, D.A.O.M., L. Ac., (FABORM), was President Emeritus and Executive Director of the American Board of Oriental Reproductive Medicine (ABORM), and was the founding Chair of the Reproductive Medicine Department at the Yo San University Doctoral Program in Los Angeles. Dr. Rubio had been in practice for more almost 20 years, and his practice focused exclusively on the treatment of Male and Female Reproductive Disorders/Infertility. Dr. Rubio was a member in good standing of ASRM & PCRS, and he lectured frequently to Acupuncturists on the topic of Infertility and TCM. Dr. Rubio is was the former President of the Complementary and Alternative Medicine Special Interest Group for the American Society for Reproductive Medicine (ASRM). Dr. Rubio has also presented to the REI Fellows Program UCLA/Cedars Sinai Medical School program, and he has lectured on the subject of Male and Female Infertility for the Lotus Institute, Medigogy.com and for the AAAOM Expo, the Southwest Symposium, and the New England School of Acupuncture (NESA) He mentored other Acupuncturists who wish to study Reproductive Medicine. He co-chaired the Integrative Fertility Symposium 2015 to 2017. Ray Rubio passed away March 4, 2017.